I got a little bit of wax on the soft top above the windshield. Any advice for removing it? 1. Dawn cuts wax. haven't tried it on a top. Certainly won't hurt. Dawn and a soft bristle tooth brush. Ideally, apply with a soft brush, work into the fibers of the top using small circular motions, followed by either rinsing with water, or patting or wiping the dissolved residue until dry using a lint-free (e.g., microfiber) cloth. 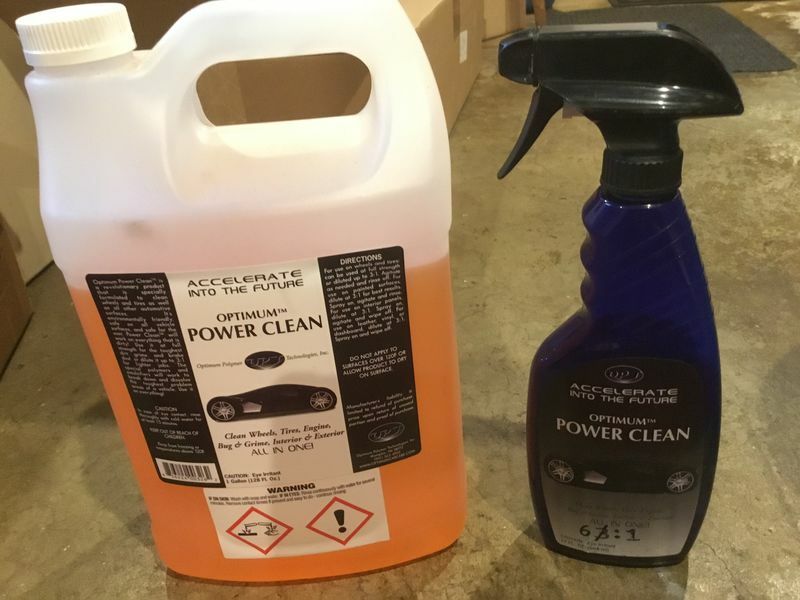 Although there are many options for all-purpose cleaners, attached picture shows the one that I'm currently using, and liked enough for my personal needs to buy a gallon of the concentrate! It's a bit spendy in small-bottle version, but reasonably economical in gallon concentrate form. Has all kinds of uses. It gets spots out of my carpet at home (e.g., wine spills) like nothing else I've ever tried. PS - did you notice there is a new detailing subforum on 986boards here? Thanks for the tips! And no, I was not aware of that sub-forum. Moved it into the Detailing forum for you. Also, wanted to give you a link to some convertible top cleaners that help protect the top. Not sure if they will remove wax residue, but you can use it once you remove the wax or see if it will remove the wax: RaggTopp Convertible Top Care Products - PelicanParts.com. Good luck!